Amazfit's on a roll this year. After releasing the Moonbeam, Equator and Arc fitness trackers, the company is now launching its first watch, the Amazfit Pace. Announced earlier this year at IFA, the team behind Xiaomi's budget trackers is finally ready to dish on the details of its smart running watch. The Pace is a GPS/GLONASS-enabled running watch that captures distance, time, pace, heart rate and calories. That's alongside running metrics like speed, cadence, altitude, elevation gain, elevation loss and minimum/maximum altitude. Amazfit says you can check all your data through the Strava Run app. 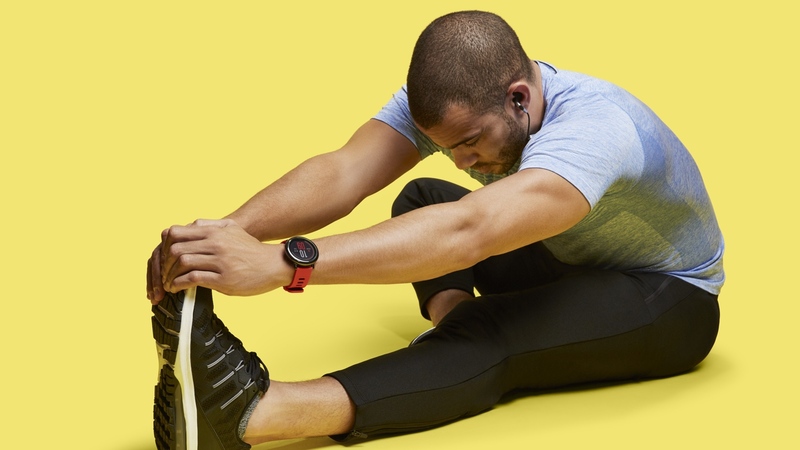 There's also 2.4GB of onboard media storage allowed so you can store music then sync up the watch wirelessly to Bluetooth earbuds for phone-free running. It's compatible with both iPhone and Android. For rainy day runs and workouts, the Pace is IP67 water, dust and splash resistant. The ceramic material shows up again here like it did on the Moonbeam and Equator giving the device extra style points along with durability. It's not just all running features as the Pace is packed with smartwatch features as well. So far, you'll be able to receive notifications from incoming calls, text messages emails and other apps. It's unclear how the notifications will show up on the wrist though. In terms of battery life, Amazfit says the Pace can last up to 11 days on a single charge or 36 hours with continuous GPS and heart rate tracking turned on. The Pace is available in black and red and costs a very reasonable $159 (up from 799 Yuan - or $116 - in China). That's Garmin Forerunner 35 and Polar M200 pricing territory. Up to Cyber Monday (28 November) you can get it for a discount pre-order price of $129, with international shipping, and it will hit Amazon on 15 December.